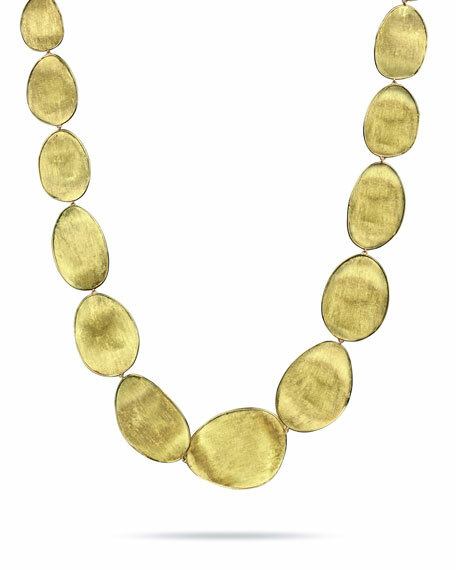 Lunaria 18K yellow gold large collar necklace. Inspired by the delicate shape of the Lunaria flower, this Lunaria Gold Necklace is hand hammered and hand engraved by Italian artisans. 18-karat yellow gold with signature hand-engraved finish.